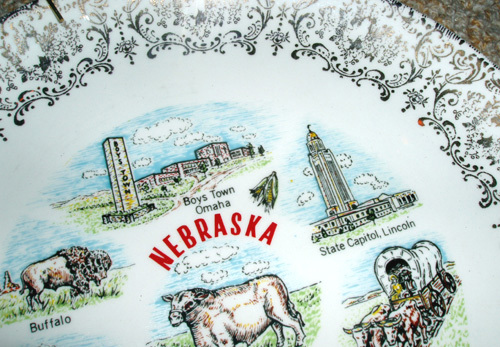 Two lovely state commemorative plates from a major Jacksonville, FL estate collection of antique and vintage state porcelain and china souvenir ware. 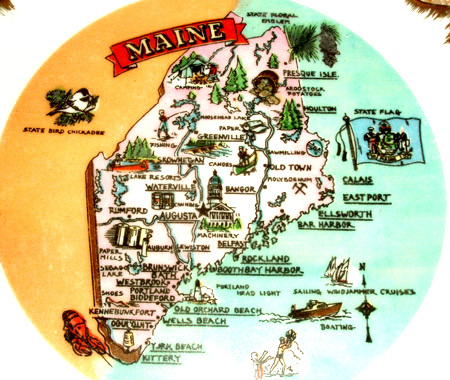 1 State of Maine commemorative plate features a finely detailed map of Maine along with its major cities, attractions, leisure activities, state flag and bird, and much more. 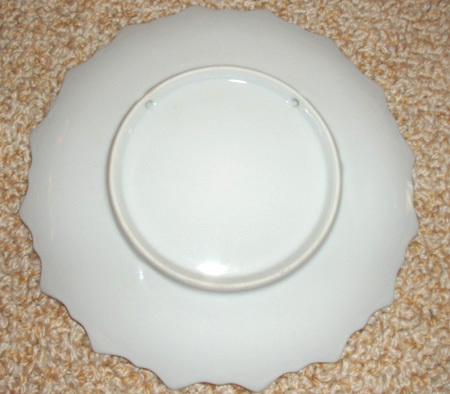 It measures 7.0" in diameter and features an irregularly shaped and gilded border; it's in mint condition and includes two holes on the back for hanging on the wall. 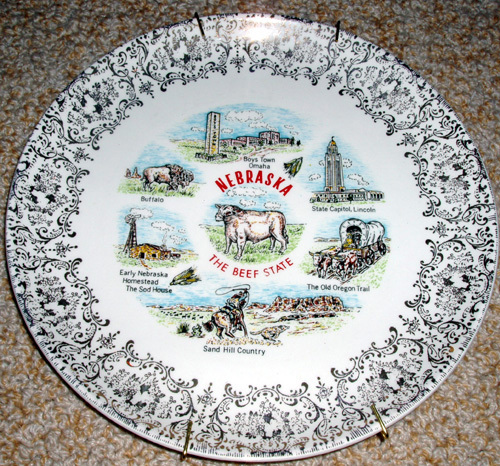 2 Super Nebraska (The Beef State) collector plate captures the history of the state in pictures and words, all with incredible detail right down to the intricate perimeter decoration of the plate. 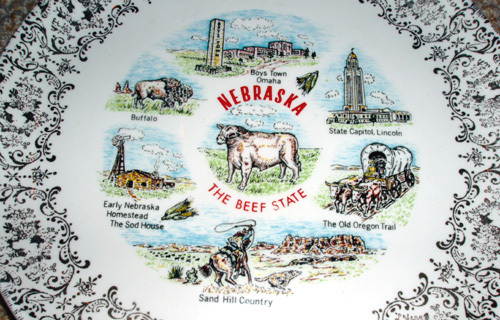 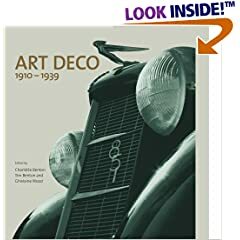 Scenes depicted include the State Capital in Lincoln, Boys Town in Omaha, buffalo grazing on the range, The Sod House - an early Nebraska homestead - the Old Oregon Trail, and cowboys on horseback in the Sand Hill Country. 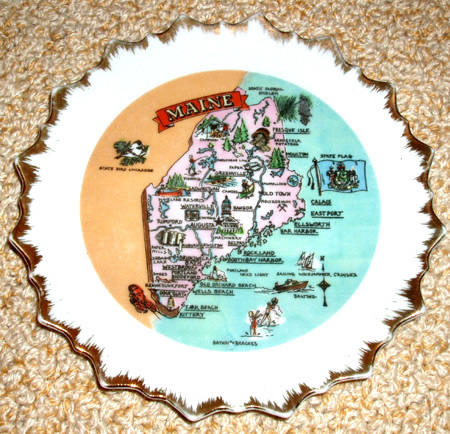 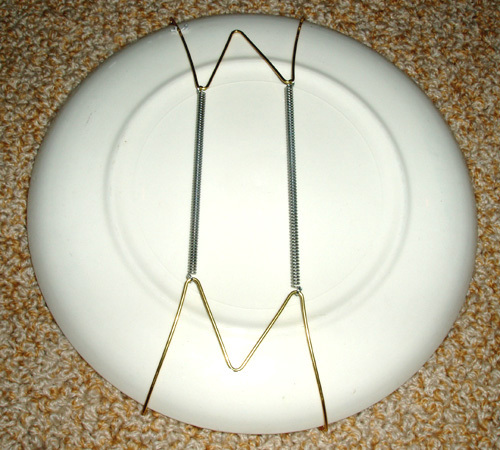 It measures 9.0" in diameter and is gilded around the perimeter, and this mint condition plate is already mounted with a hanger to use for the wall.